Is your name written in this book? No, this blog isn’t about the 66 books (39 OT and 27 NT) in the Bible. It is about something far more important…….. The key question that you can ask yourself is this: “Is my name written in the Book of Life?” Whether it is or not will depend whether your eternity is in heaven or not. There are two main Books discussed in the Bible: 1) There are Books of man’s works (Revelation 20:12), and the Lamb’s Book of Life. You must know the difference. You will want to have a reservation in the latter book. If you don’t, now is your time. Although similar, they also bear significant differences. The New Testament refers to the Book of Life (or Lamb’s Book of Life) eight different times, and although the Old Testament does not call it by that name, it does allude three times to a book in which names are written. Psalm 69:28 calls it the “book of the living.” It is God’s list of those who are in right relationship to him and who remain faithful. 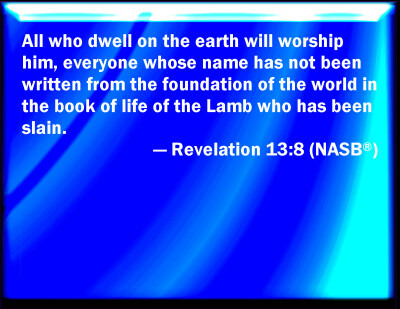 The Lamb’s Book of Life is the book of Jesus Christ in Revelation 13:8 in which are entered the names of those who have received eternal life to live with him forever. It is likely that believers who have lived since the cross have their names written in this book. One can’t have their name blotted out of this book.–see Revelation 3:5. See Philippians 4:1-3– Euodia, Syntyche, Clement and Paul’s fellow workers wanted to be in the Book of life. The Book of the Living seems to contain the names of all people, whereas the Lamb’s Book of Life includes only the names of those who have called upon the Lamb for their salvation. A second difference is that the Book of Life is referred to as God the Father’s book in Exodus 32:33; it records all those whom God the Creator has made. It is the Book of the Living, much like the records book at the county government office. One can have their name blotted out of the Book of the Living–Exodus 32:33. Scary thought. The Book of Life is alluded to in Revelation 3:5 is a divine record of those who are saved. It is also mentioned by Jesus in Luke 10:20 and by Paul in Philippians 4:3. In fact, Jesus says that “you should rejoice that your names are written in heaven.” See Revelation 21:27 also. 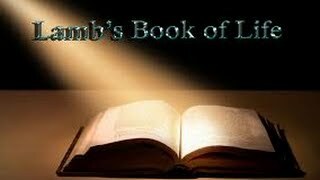 The only people in heaven will be listed in the Lamb’s Book of Life. You will only be in heaven if you have trusted in Jesus Christ, the Lamb of God, who took away the sins of the world. There is a verse in the book of Revelation that should have a profound effect on you. It is Revelation 20:12-15. “And I saw the dead, great and small (it doesn’t matter what your status is- tall or short, rich or poor), standing before the throne, and books were opened. Another book was opened, which is the book of life (the Lamb’s Book of Life). The dead were judged according to what they had done, as recorded in the books. If anyone’s name was not found written in the book of life, he was thrown into the lake of fire. My friend, do you want to be judged on every work you have done, and every sin that you have ever committed or thought of? Then continue to reject Christ. I, for one, would rather be covered by the blood of Jesus. 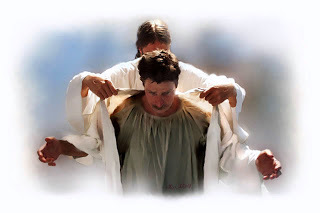 Not only will my sins be forgiven but they will no longer be remembered by God (see Jeremiah 31:34). Thank the Lord. This entry was posted in Books mentioned in the Bible, Lamb's Book of Life and tagged Book of Life, Books mentioned in the Bible, Lamb's Book of Life. Bookmark the permalink.